NEWARK, DE - Tooth Fairies with a Purpose was founded by a group of women from Alpine & Rafetto Orthodontics with a strong belief in community involvement. These women strive to make a difference by raising awareness for local non-profit organizations. 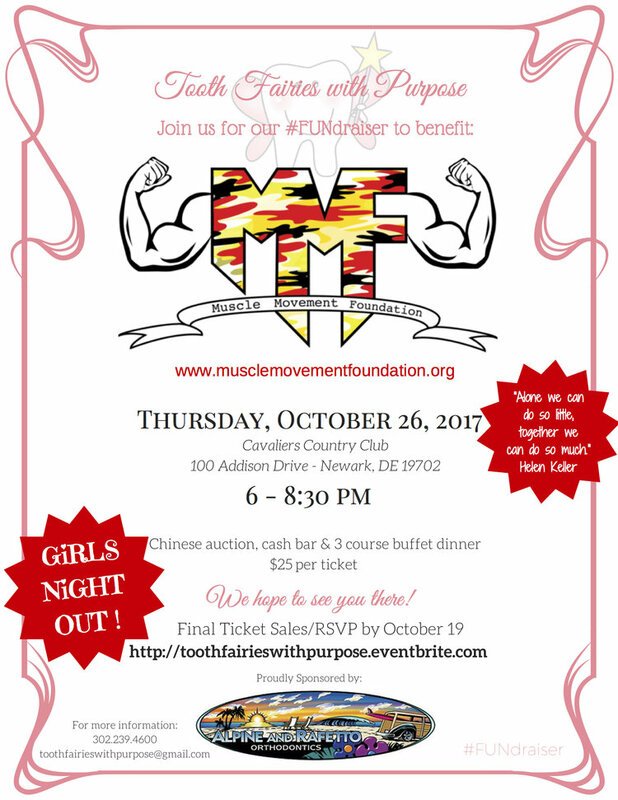 Tooth Fairies with a Purpose learned of the Muscle Movement Foundation's impact in their local community of New Castle County, DE and took immediate initiative in joining the fight against neuromuscular disease. 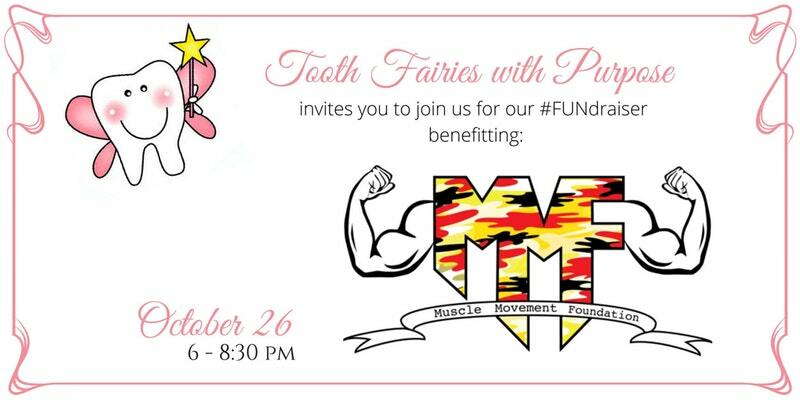 Tooth Fairies with a Purpose and the Muscle Movement Foundation invite all ladies to join us at Cavaliers Country Club on Thursday, October 26th from 6:00p.m.-8:30p.m for a GIRLS NIGHT OUT! The night will consist of a 3 course buffet dinner, Chinese auction, a cash bar, and a memorable night with friends. Tickets may be purchased at the link below. Final ticket sales/RSVP by October 19th. For more information about the event call 302-239-4600 or email toothfairieswithpurpose@gmail.com. We look forward to seeing you at the event!